Keep your feet comfortable all day long in our men's Fisherman sandal. The lightweight open-air design allows a cooling airflow for breathability. 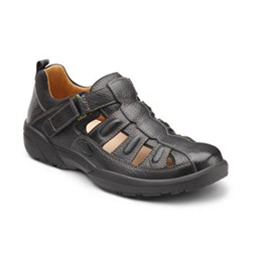 Features a leather upper with a contact closure for a perfect fit. Available in two colors - Black, and Chestnut.